In addition, substations that support transmission of 275 KV will be completed in 2019, while those of 500 KV later than 2 years are completed. "So that the entire electricity network in Sumatra will become one, such as in Java and Bali," said Jonan. The government strives to continue to meet the electricity needs of the community more efficiently and at affordable prices. "Electricity is a basic human need. The construction of electricity infrastructure in South Sumatra will increase regional electricity supply and maintain reliability. It also encourages the local economy," said Minister Jonan. Electricity supply becomes more efficient where there is a decrease in shrinkage of 0.73% or equivalent to 5,415,683 kWh. So that there is energy savings reaching Rp. 7.5 billion. 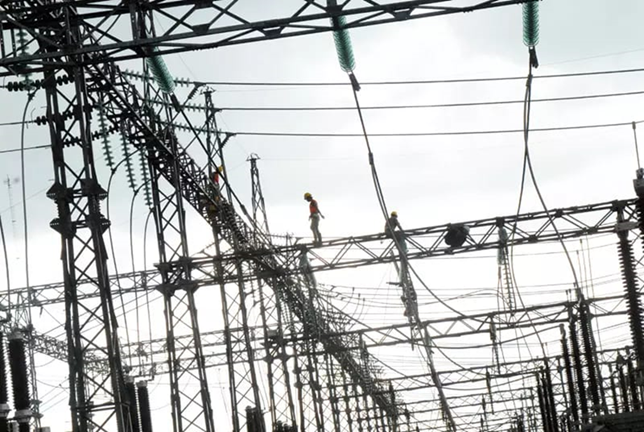 In particular, the infrastructure will increase the electrical reliability of Palembang City with the establishment of the Palembang City 150 kV Substation Ring System which is connected to a 70 kV system. So that it will become one of the main sources of supply for Palembang's electricity growth. 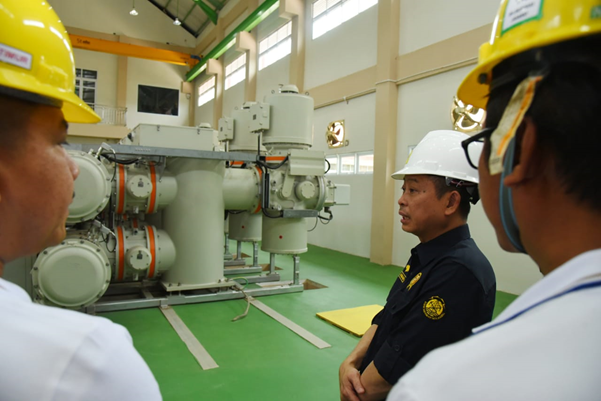 Financially the operation of GIS 150 kV Kota Barat, GI 150 kV Gandus, and GI 150 kV Kenten which is closer to the center of the load makes the cost of production more competitive, improves shrinkage and voltage quality in the city of Palembang. The increase in electricity supply is not only the construction of electricity plants but also important is the infrastructure of the transmission network and substations which are part of the 35,000 MW Project. The Government's duty is to ensure that the electricity needs of the community are met. The national electrification ratio at the end of 2018, around 98.3%, will be increased to 99.9% in 2019. On the same occasion, Director General of Electricity Rida Mulyana reported that the entire infrastructure project that was inaugurated had followed electricity safety procedures, namely the issuance of Operation Worthiness Certificates (SLOs) for each electricity infrastructure. In addition, Rida hopes that the electrification ratio or comparison between the number of electrified households and the total number of households in South Sumatra Province will increase along with the operation of these electricity infrastructure. "The electrification ratio in South Sumatra Province has reached 91%, whereas the electrification ratio in Palembang Municipality is 99%, and Ogan Komering Ilir Regency is 70%. With this inauguration, it is expected that the electrification ratio will increase, "he said.